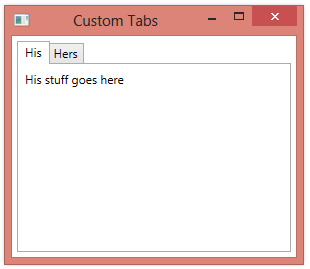 When you use a TabControl in your application, each tab is represented by a TabItem. 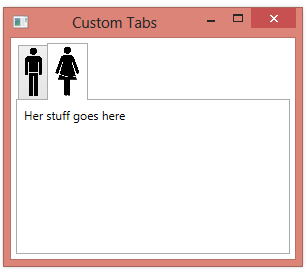 The content of the TabItem is a single container and items placed within this container show up in the body of the TabControl when that tab is clicked. When you set the Header property of a TabItem to some text, that text will be drawn on the tab. Because TabItem.Header is of type object, you can set the Header to anything that you like. (E.g. a panel containing multiple items).